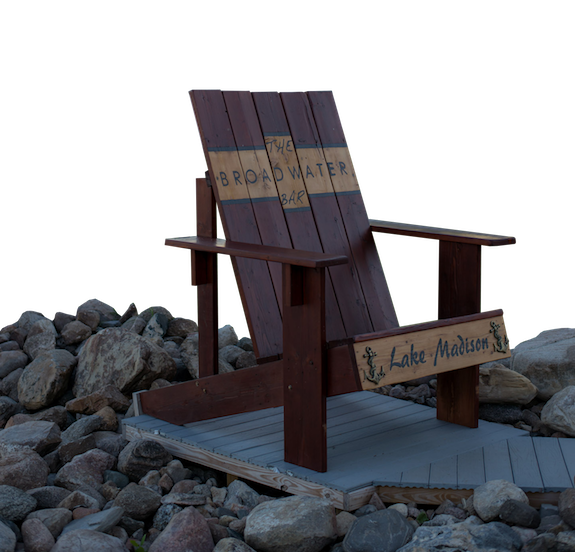 The Broadwater Bar is located on the Northeast side of Lake Madison in South Dakota. Our friendly staff provides a professional, fun environment for you and your friends and family to enjoy our delicious food and cold drinks. We offer a different food special every Friday night and on Saturday nights, we have our famous prime rib with our homemade au jus. Our outdoor patio overlooking Lake Madison entertains you with live music every weekend and occasional karaoke from Memorial Day to Labor Day. Check out our specials event for more information. We are the one of a few only restaurants on Lake Madison to offer lakeside fuel service for all recreational watercrafts during open hours. When you need a break from the water, let our dock-boys help you quickly dock your watercraft so you can enjoy our lakeside restaurant. Our facilities include an indoor and outdoor bar, indoor dining area, and an open sunroom facing the lake. These allow ideal space for all of your event needs, including anything from smaller anniversary parties to larger company Christmas parties. Please reference our contact information to schedule your event! Welcome to Lake Madison South Dakota. We welcome all friends and family to stop in and relax on the water for some great times and amazing food!